SPOTTED. It’s a wampa! It’s a yeti! 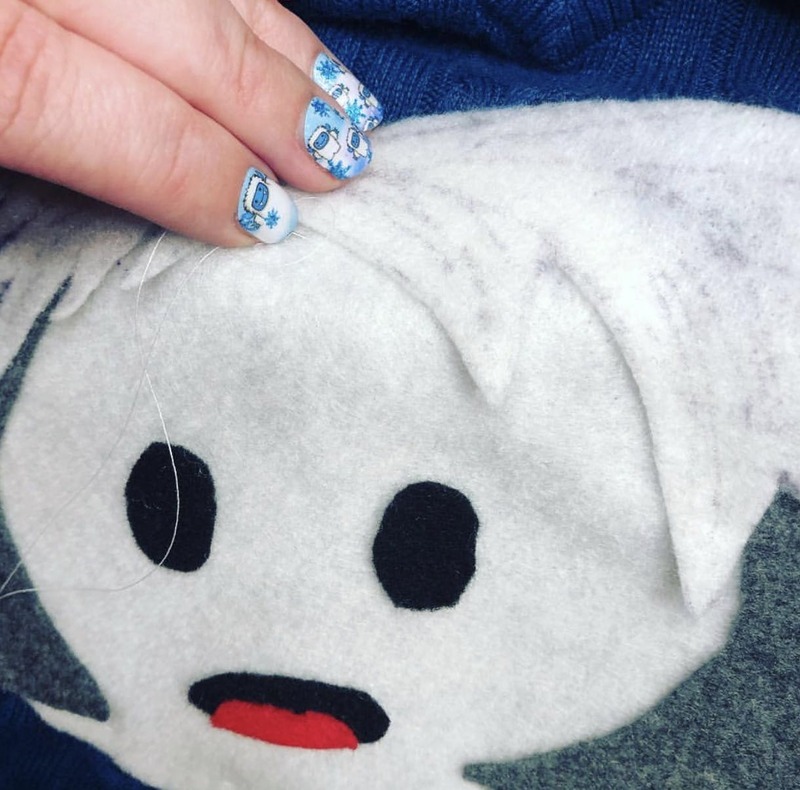 It might be the teeniest Abominable Snowman in existence and we shall hug him, and pet him, and squeeze him and name him George OR…just adorn our nails with his sweet wittle face. Glitter snowflakes and fuzzy wuzzies, what’s not to love?! I love my Abominable Snow Man nail wraps. The snowmen are adorable and I love the bit of glitter that is on the snowflakes. So far I've had them on for over a week and they still look great! First off, these are ADORABLE. Are they a yeti or a wampa? Who knows? Who cares? I loved the design. Second, I judge all nail wraps by their wear duration. After two and a half weeks they still looked nearly new. The ONLY reason I took them off at that point was to change it up for my holiday outfit. I would highly recommend this wrap!